Dr. Rolf Barth is an associate professor of surgery at the University of Maryland School of Medicine, the head of the Division of Transplantation and the director of liver transplantation at UM Medical Center. 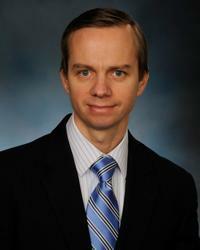 His clinical practice focuses on kidney, pancreas, and liver transplantation. Dr. Barth also performs minimally invasive surgery for living kidney donation and performed the first ""scarless"" single-port laparoscopic donor nephrectomies in Maryland. Dr. Barth and colleagues also offer robotic laparoscopic surgical approaches for complicated hepatobiliary disease. Dr. Barth received his medical degree and surgical training at Duke University and continued specialty training in transplant surgery at University of Wisconsin-Madison. Dr. Barth also performed post-doctoral training in transplant immunology at Massachusetts General Hospital/Harvard Medical School. Dr. Barth has active clinical and basic research interests that include novel immunosuppressive therapies, immunologic tolerance, and the use of genetically engineered animal organs for human transplantation (xenotransplantation). Dr. Barth has an active lab investigating transplant tolerance and pre-clinical models of composite facial and limb transplantation towards the clinical goal of reconstructive transplantation. These efforts recently resulted in the most-extensive face transplant performed worldwide to date. Dr. Barth was named a "Top Doctor" in the specialty of Transplant: Kidney, Pancreas, Liver by Baltimore magazine in 2016.